A shelter is necessary evil today. However, this is the place people should know about when looking for their lost pets. Also visiting the shelter is the best way to find the pet that you are looking for. Our animals are cared by professional staff and by volunteers. Every day the girls and boys help with caring, walking, teaching useful things and showing them a lot of kindness. But the most important role of the voluntaries is to restore animals' faith to human good. Unfortunately there is no better now. There are over 300 dogs and some cats in "The Shelter for Homeless Animals Psitulmnie" in Zabrze. 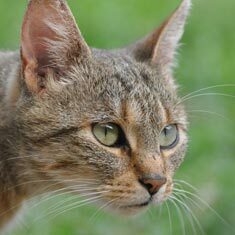 Moreover there is no place for increasing numbers of new homeless pets. Despite the fact that we educate people and teach responsibility, the owners of dogs reproduce them and abandon. What cruelty! The Shelter is a public object but this branch of Polish "TOZ" in Zabrze tries to get an appropriate level to be effective. All of our financial support is received through private donation. 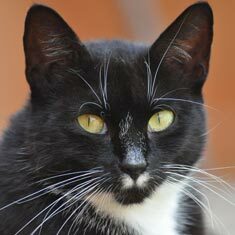 Thanks to help from benefactors who pay 1% of tax and virtual adoptions we can remain proper conditions of our Shelter. The best shelter is the empty one, but at the moment many pairs of eyes are looking at us and are waiting for a change of their difficult life. Monday- Friday: from 10 a.m. to 5 p.m.
Saturday, Sunday and holiday: from 10 a.m. to 3 p.m. Here we present our animals. Some of them have already found their house and are happy now. The others are sad because they have still been waiting for their masters. Do you think you can find your friend in our animal shelter? The friend you will share your home with? Some of you cannot adopt pets personally and live with them but you can be their virtual carers. Supporting the concrete animals you give them a chance for better life condition in the shelter. The adoption process is fairly simple. Being a virtual parent means that you can visit the pet and even send a package for Christmas. From time to time we try to send photos of the favourites to the virtual "parents". We are behind with this work because we have got huge daily work in our shelter. Every even the smallest support is valuable for us and our pets. We encourage you to adopt our animals. It costs just 30 zloty/ about 8 euro monthly. The animals which have found their real home are happy. Today, every shelter is a necessary evil. Nevertheless, it's a place everyone should know about, and consider it to be a refuge to lost, stray, and abandoned animals. There are 300 dogs and a 30-40 cats in our shelter now... Please, visit us. 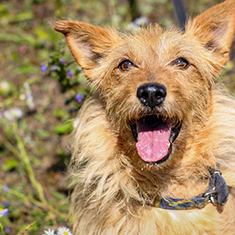 Perhaps somewhere among all these charming muzzles you'll find a real friend? "Let's be better for animals, let's care for those smaller brethren of ours with all our heart. We should remember that we may also face a moment of loneliness in our life, when we are deserted by relations and friends, and left to our own fate. Then, no matters how heavy the burden of our misdeeds is, there will always be a cat, a dog or a bird staring faithfully at us, with their loving hearts, ready to sacrifice their lives for us..." . The Society for the Prevention of Cruelty to Animals (TOZ) in Poland has a long tradition. Founded on 1st November 1864, it joined forces of many famous Poles under the common work for the benefit of animals - Henryk Sienkiewicz and Bolesław Prus (great Polish novelists) among others. Abandoned animals, which once used to have a home, are kept in the shelters, many of which operate on the verge of financial catastrophe. 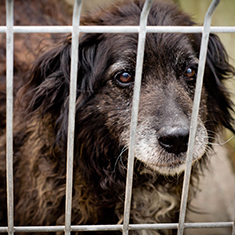 There are more than 12000 dogs and 1800 cats kept in such places in Poland. These terrifying figures usually increase after Christmas, when people try to get rid of "presents" no longer amusing to their children, and before holidays, when animals become a serious obstacle to a travel... And it's for them that we work - for those poor creatures which were never to know home, love and acceptance. What we try to do is to give them a semblance of home, a warm place to sleep and a full boll. We organise meetings, concerts, and shop promotions to rise money for them. That's how we provide them with food and medicines. Everyone can help. By entering to TOZ, you support us, but you also have an opportunity to meet interesting people working with enthusiasm for the benefit of our animals. You become a part of a great thing which, apart from measurable effects, gives you satisfaction and joy. And if you're a witness to cruelty to animals, or if any hurt or emaciated animal needs help - please don't pass indifferently, don't pretend you don't see it! Inform Municipal Guard on what you see (tel. 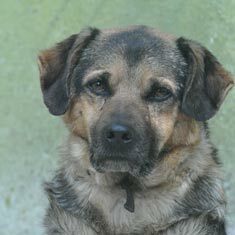 : 32 271 00 11, or free of charge 986), ask for a duty officer or call the Animal Shelter in Zabrze-Biskupice (all day tel. 32-271 47 97, 133 Bytomska Street). And if you feel like supporting us financially, please pay even a nominal sum. Each of them means health and food for animals. And perhaps you would like to visit our shelter (you already know the address), and take care of a doggy or a kitten? If you give them home and love which they miss so much - they will repay you a hundred times. "Every man - may he only live to a great age! - must set out on this journey with no come back one day. And I must admit that deep in my heart there's an unattainable dream, that Puzon and Kot will accompany me then. It would be lovely to have a pair of birds above my head, and a turtle pacing by my side. We would walk away slowly, and there would be enough time to stop for a moment, and to look back at my life - whatever it was - with love and grief."